Winter is approching. It's time to buy your kids a great hat for both warm and fashion! REDESS specially prepared this winter hat for your baby to get rid of the coming cold weather. Hat is large enough to cover baby's ears. We promise you high quality and comfortable wearing experience. One size fits all the boys/girls at 0-5 ages. DOUBLE PROTECTION: Baby winter hat being consisted of knitting yarn outside and fleece inside, our baby winter hat is going to protect your baby from the cold winter. COMFORTABLE TO WEAR: This fleece lined warm hat for toddler is made of high quality materials and well designed to fit babies at 0-5. With adjustable rubber band built inside perfect adjustability is available. ADORABLE DESIGN: Our toddler kids hat specially designed for infants. The neat knitting pattern and furry hairball could catch babies' eyes and allow them to look cute in the hat. 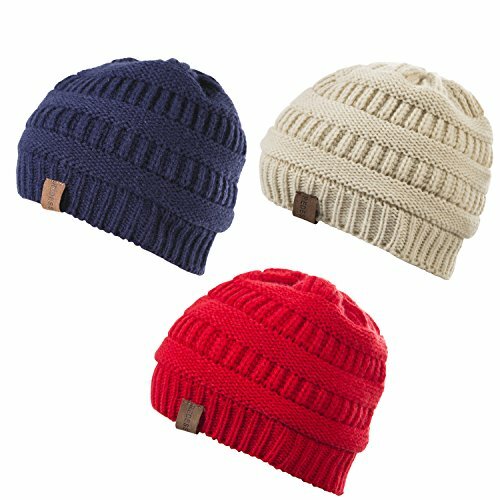 HIGH QUALITY: This beanie knit cap is made of durable materials which are eco-friendly and comfortable. With its light weight, this hat will not cause pressure on your kidsâ€ head while keeping warm. SATISFACTION GUARANTEE - 100% money back guarantee. Please return the item for a full refund if you are not satisfied with your purchase. If you have any questions about this product by REDESS, contact us by completing and submitting the form below. If you are looking for a specif part number, please include it with your message.